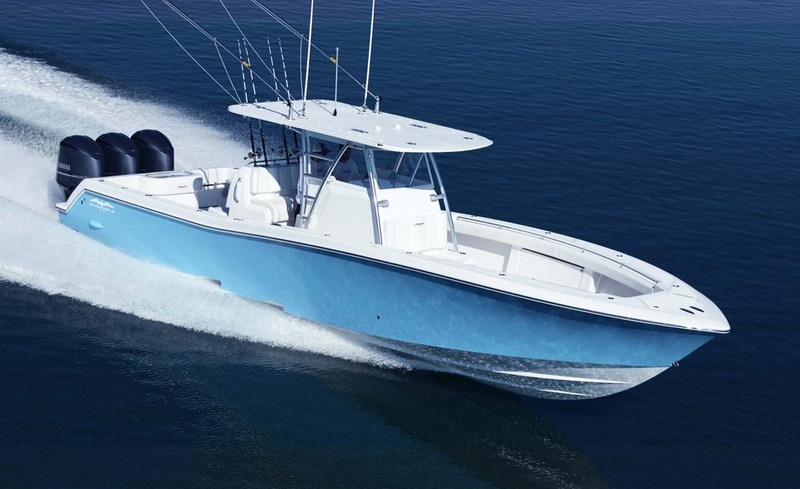 The Invincible 33 Open Fisherman is sold most popularly with twin 300 HP outboard engines. 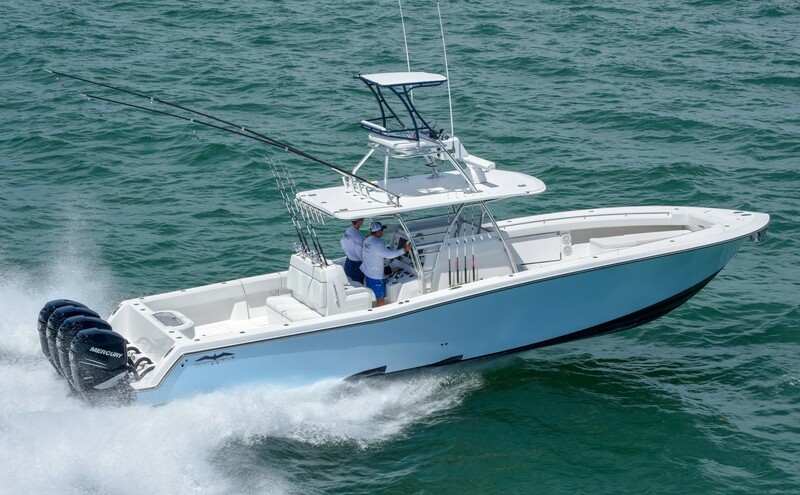 With top speed capabilities in excess of 60 MPH and superb range the 320-gallon fuel capacity will get you to the farthest fishing grounds and back with speed and comfort. 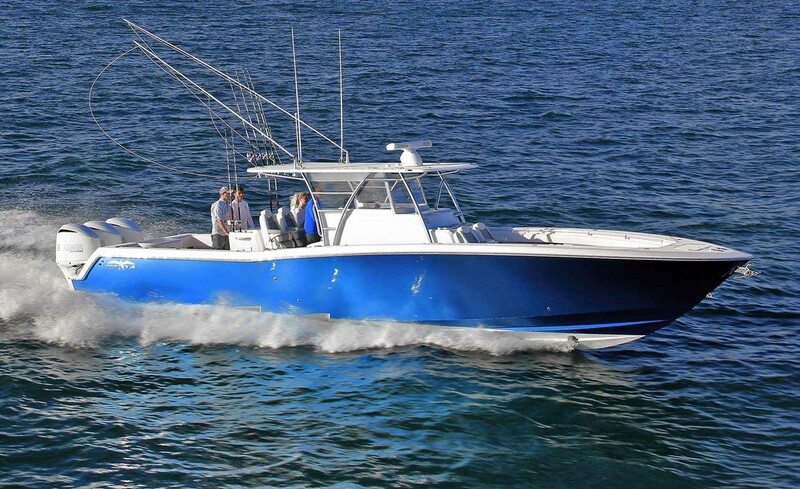 Our 33 is a class leader in rough water seakeeping ability. 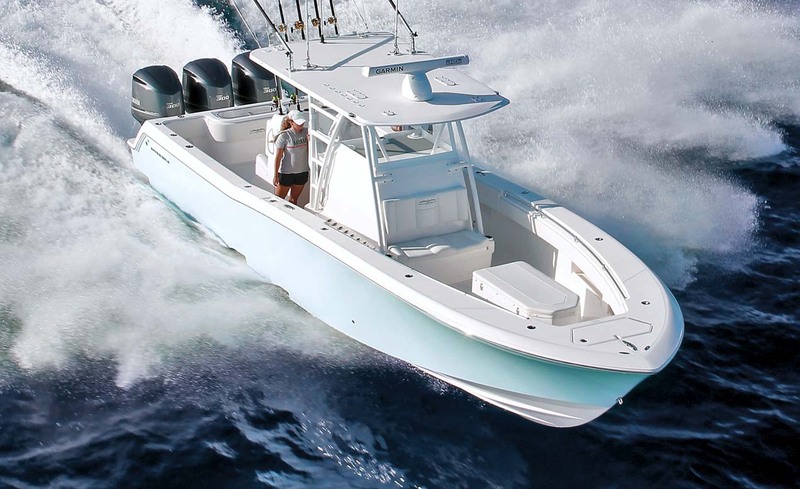 The Invincible 42 Open Fisherman is available with triple or quad outboards. With top speeds in excess of 65 MPH (with triples) the 680 gallon fuel capacity will give you unsurpassed range for a boat in this class. The 42 typically outperforms the competition in all aspects with triple 350’s verses the competitors boat with quad 350’s. The extra length and beam give the 42 a true big boat feel allowing for a very stable yet nimble ride when the seas are the most challenging. The Invincible 42 Center Cabin is available with triple or quad outboards. 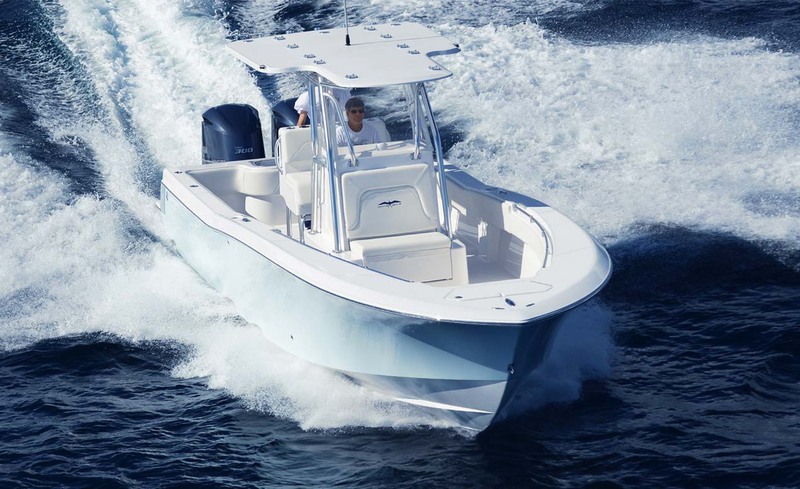 With top speeds in excess of 65 MPH (with triples) the 565 gallon fuel capacity will get you to the farthest fishing grounds and back with speed and comfort. The 42 CC is the perfect fit for those wanting to overnight and extend their fishing trips or have a nice place to get out of the weather.